Come to the New Times Music Awards on Nov. 3 at the Fremont to cheer on the winners of our ninth annual music competition! BRINGING THE HEAT! 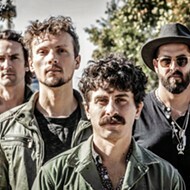 The Tipsy Gypsies (pictured) will compete against 33RPM, The Creston Line, Wordsauce, and Tropo at the NTMAs on Nov. 3, in the Fremont Theater. Hey, what are you doing this Friday? Wanna hang out? I'm going to be at the ninth annual New Times Music Awards this Friday, Nov. 3, at the Fremont Theater (6 p.m.; all ages; $10 presale at ticketfly.com/event/1581442). I think we could have a really fun time together. You know, drink a beer or three, check out some music, hang out with other music lovers, and take some sweet photos in front of the NTMA backdrop. What do you say? Yeah, it'll be cool! It's this little thing we do every year where we ask songwriters, musicians, and bands from SLO and northern Santa Barbara Counties to submit entries in a variety of different genres, songwriting, and best album categories. We even had a youth category this year. IN IT TO WIN IT Live hip-hop and funk act Wordsauce (pictured) will try to take home Best Live Performance at the NTMAs on Nov. 3, in the Fremont Theater. The five winners in the genres will be playing live and competing for Best Live Performance. 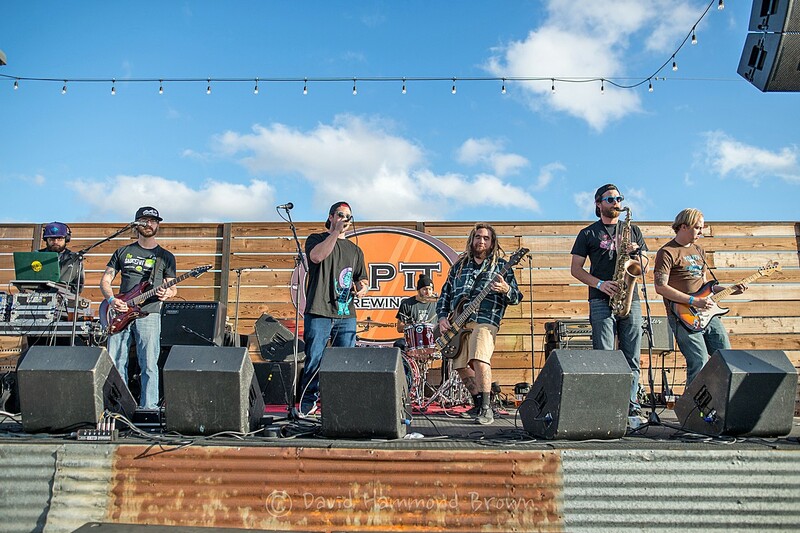 Yeah, I'm talking about live sets by rockers 33RPM, Americana act The Creston Line, Gypsy jazz ensemble The Tipsy Gypsies, hip-hop/funk collective Wordsauce, and EDM band Tropo. That's a bodacious amount of music for 10 smack-a-roos! Second and third place finishers will also be there to collect their prizes, as will winners of the song and album categories. Hey, maybe you went online and voted for your favorite because we're also handing out a Readers' Choice Award. The event opens with youth percussion group The Bucket Busters followed by youth category performer Amelia Fleming, aided by her sister Rio Fleming. 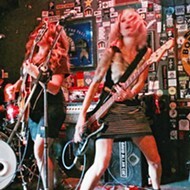 If you love our local music scene, it's the place to be this Friday night! I can't count how many nights I wallowed in my angsty youth listening to The Smiths. Man, I loved their music so much! I find a lot of their songs still appealing, though my more grownup, anti-nihilistic, and generally cheerier self sees more of their mordant humor now than I did back then. Hey, I was young. I thought everything was serious. 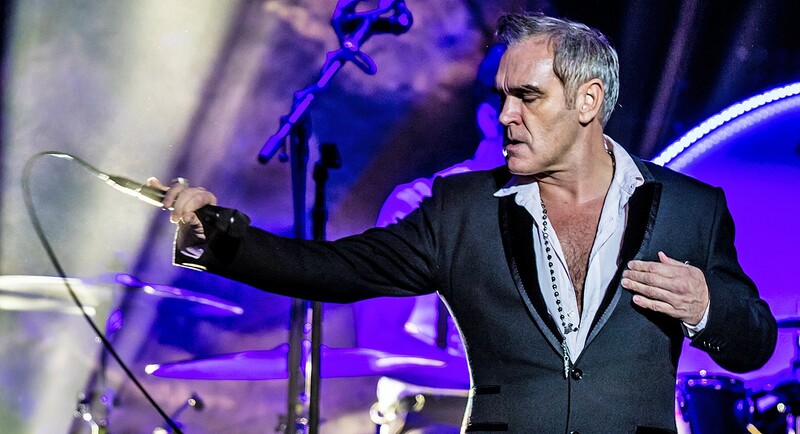 STEVEN PATRICK Former Smiths Frontman Morrissey will bring his solo show to Vina Robles Amphitheatre on Nov. 5, in support of his new album Low in High School. 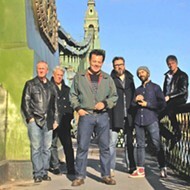 The band only recorded four albums, and lead singer Morrissey went solo in 1987 and continued to release chart-topping songs. His black humor has remained intact, and his literate, complex lyrics continue to be his greatest strength. Morrissey plays Vina Robles Amphitheatre this Sunday, Nov. 5 (7:30 p.m.; all ages; $55 to $85 at vinaroblesaphitheatre.com), in what will be the final musical performance of the venue's season. If I could have interviewed him, I would have asked burning questions such as "How did Joan of Arc get a Walkman® in 'Bigmouth Strikes Again'?" and "Is that guy's girlfriend from 'Girlfriend in a Coma' still in a coma?" Maybe I'd ask him if it's possible to write a more morbid love song than "There Is a Light That Never Goes Out" or better yet whether it's healthy to listen to "Heaven Knows I'm Miserable Now" on repeat for, like, two hours. Something I totally did every time I got dumped in the '80s. His current tour is in support of his most recent studio album Low in High School. I'm not sure if he'll be playing any old Smiths stuff or only his solo stuff, but judging from clips I've seen online, he sounds great and has a great band backing him up. Numbskull and Good Medicine Presents will be indulging your music needs in three genres this week, starting this Thursday, Nov. 2, when The Siren hosts terrific Americana pickers and harmony vocalists The Steel Wheels (7:30 p.m.; 21-and-older; $10 presale at ticketfly.com or $12 at the door). These four guys are awesome! American roots music at its finest! 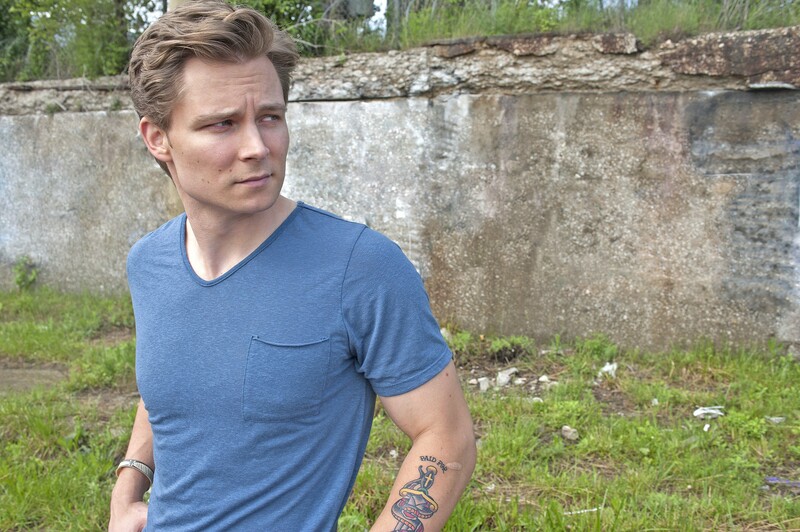 COOL CUSTOMER Country hipster Frankie Ballard plays the Fremont Theater on Nov. 6, touring in support of this third album, El Rio. On Monday, Nov. 6, ultra-cool country act Frankie Ballard plays the Fremont Theater (7 p.m.; all ages; $20 presale at ticketfly.com or $25 at the door). Check out his online video for "Sunshine & Whiskey," when he drives up to a Pueblo in a silver 357 Porsche, tatted-up in cuffed jeans and motorcycle boots, plays his guitar, and picks up a saucy señorita before taking off down the road again. It's a great rockin' country sound from his 2014 sophomore, and now he's touring in support of his follow up, El Rio, which he tried to make the old fashioned way—by holing up in a studio and striving for continuity. "I grew up listening to albums and I loved them as bodies of work," Ballard said in press materials. "But today, everyone cuts singles. Even Sunshine & Whiskey was recorded in chunks. We'd go into one studio, cut four, then go into another studio and cut another four. It's groovus interruptus, man." Finally, Good Medicine returns to The Siren next Thursday, Nov. 9, with Portland jam rock act Fruition (7 p.m.; 21-and-older; $12 presale at ticketfly.com or $15 at the door), with Bear Market Riot opening. Fruition features three lead vocalists who sing beautifully together, and though this is a rootsy "string-centric outfit," they can deliver rock, soul, blues, and British Invasion-era pop. A positive attitude and empathy for others' travails can go a long way in making the world a better place. That's a lesson local musician Brian Jeffrey began learning nearly a decade ago when he first took up the guitar. He and his wife were happily running a successful employment agency when the 2008 recession hit, and by 2010 his business was in shambles. "The year before the financial collapse, I purchased a Martin guitar and played daily, creating new arrangements for cover songs," he explained. "When the meltdown hit, my wife was pregnant, we were losing our business, and then the unimaginable happened. We lost not one but two late-term pregnancies, my brother Josh was battling terminal cancer, and music was the only thing that seemed to ease the pain." Since turning to music, Brian's songwriting flourished. This Saturday, Nov. 4, he'll release his third album of original material, Don't Look Away, at McLintock's in Shell Beach (6 to 9:30 p.m.; all ages; free). The 11 songs range from celebrating humanity's similarities rather than difference in the lead track "All Around the World" to the album closer, "Strong Enough," about the strength Brian gains from his marriage. In between are earnest, thoughtful songs about social inequality, the injustice of mass incarceration, immigration, and more. The album is dedicated to Brian's brother Josh, who succumbed to cancer in 2015, but music continues to be the salve that sooths life's travails. If you like socially conscious, optimistic music, check out Brian Jeffrey. 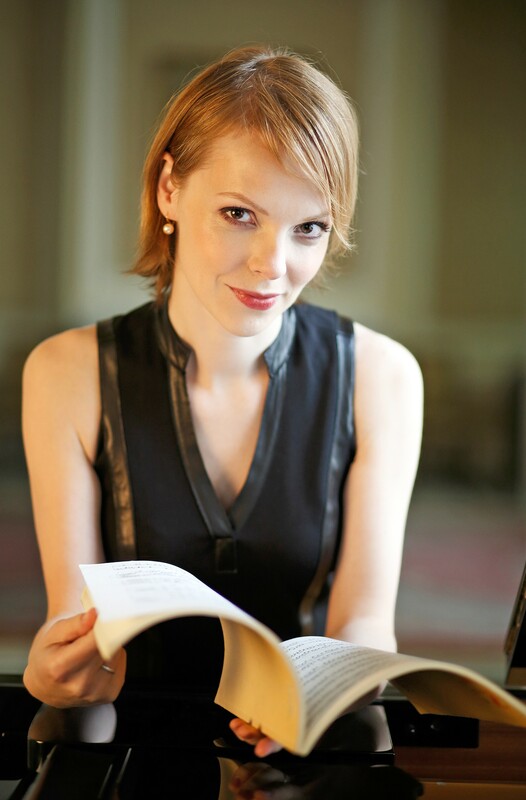 PLAYING PADEREWSKI Pianist Magdalena Baczewska headlines the four-day Paderewski Festival with a concert at the Paso Robles Inn Ballroom on Nov. 4. The 2017 Paderewski Festival returns to Paso Robles to celebrate its most famous resident, Ignacy Jan Paderewski—virtuoso pianist, composer, international politician, local landowner, grower, and winemaker—with four days of concerts and special events starting Thursday, Nov. 2, with Café Musique playing Cass Winery; continuing on Friday, Nov. 3, with a master class with Pianist Magdalena Baczewska in the Park Ballroom, and later a Jazz Trio playing American standards by Polish composers in the same venue. On Saturday, Nov. 4, check out the Paderewski Festival Youth Piano Competition Winners' Recital in the Paso Robles Inn Ballroom, followed by the Gala Recital with pianist Magdalena Baczewska performing works by Paderewski, Chopin, and Szymanowski, and then the Paderewski Cycle finalists montage and winners award ceremony also in the ballroom. Finally, on Sunday, Nov. 5, the festival closes with an all-day event at Epoch Estate Wines. 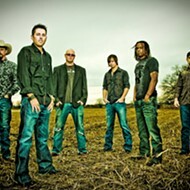 Visit paderewskifest.com or call 235-5409 for tickets and details. SLO's First Presbyterian Church will host another Brown Bag Concert this Friday, Nov. 3 (noon; all ages; free), in Wilson Hall. Craig Kincaid (guitar) and former KCBX hosts Sonnie Brown (vocals) will entertain. Bring your lunch and kick back! Fair Trade coffee and chocolate will be available. 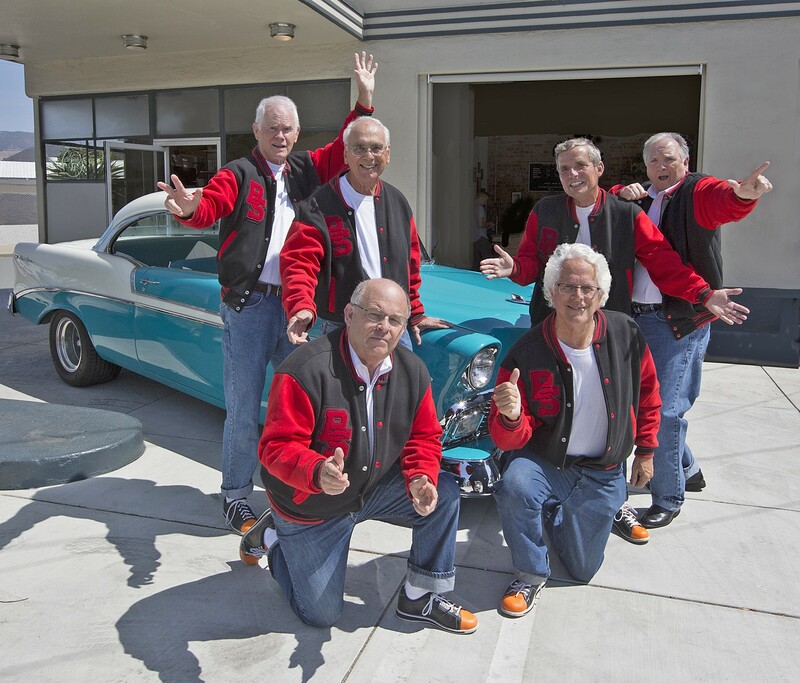 DOO-WOPPERS The Bald Spots will bring their vocal prowess to Trilogy on Nov. 3, playing '50s and '60s classics. Damon Castillo will play his final concert of the year this Friday, Nov. 3, with an appearance at Silver Horse Winery (6 p.m.; $10 includes your first glass of wine, at eventbrite.com). This is part of Silver Horse's "School House Rocks" concert series, and food by Fire and Wine will also be available for purchase. This Friday, Nov. 3, head to Trilogy to hear the dulcet sounds of The Bald Spots, a vocal quintet singing popular songs of the 1950s and '60s mixed with hilarious anecdotes and funny memories of a classic era in music (7 p.m.; all ages; $25 general at vocalarts.org or by calling 541-6797). This is a fundraiser for the Gary and Patricia Lamprecht Music Education Endowment, a fund created in 2016 to honor 40 years of musical direction by the founder of the San Luis Obispo Vocal Arts Ensemble. Come to Thomas Hill Organic Kitchen this Friday, Nov. 3, during Art After Dark, and enjoy the sounds of jazz act 3 Martini Lunch (7 to 9:30 p.m.; all ages) while feasting on some farm-to-table fare. The Cuesta Vocal Jazz Festival Concert happens this Friday, Nov. 3 (8 p.m.; all ages; $17 general or $12 seniors and students), on the main stage of the CPAC. Hear dozens of trained voices working in harmony including headliner Pacific Standard Time, which has won seven Downbeat magazine awards. HEY TONY! Amazing blues, bluegrass, and folk artist Tony Furtado returns for two SLOfolks shows, Nov. 4 at Castoro Cellars and Nov. 5 at Coalesce Bookstore. The Red Barn Community Music Series presents the Kathy Kallick Band this Saturday, Nov. 4 (5 p.m. potluck, 6 p.m. show; all ages; donations accepted at the door). 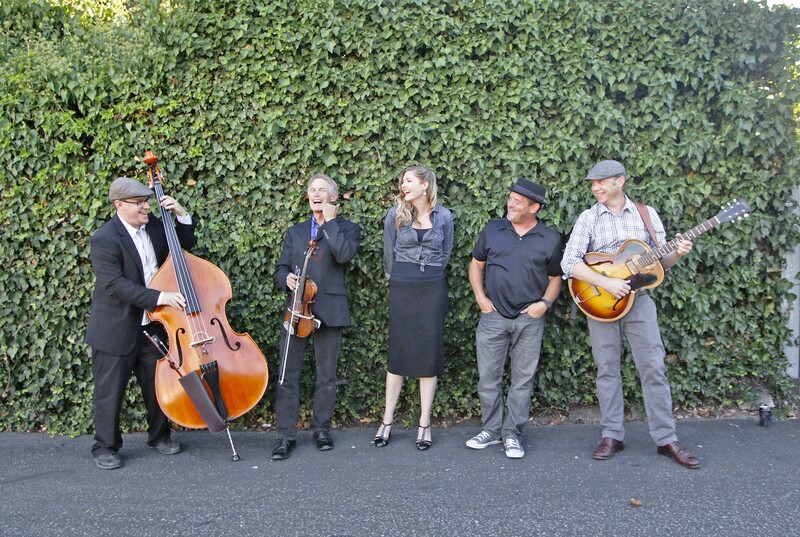 This West Coast bluegrass band plays a powerful mixture of original and traditional bluegrass music. SLOfolks welcomes back Tony Furtado and his trio for two shows: Saturday, Nov. 4, at Castoro Cellars (7:30 p.m.; all ages; $20 at 238-0725 or at castorocellars.com/events); and at Coalesce Bookstore on Sunday, Nov. 5 (7p.m. ; all ages; $20 at 772-2880). 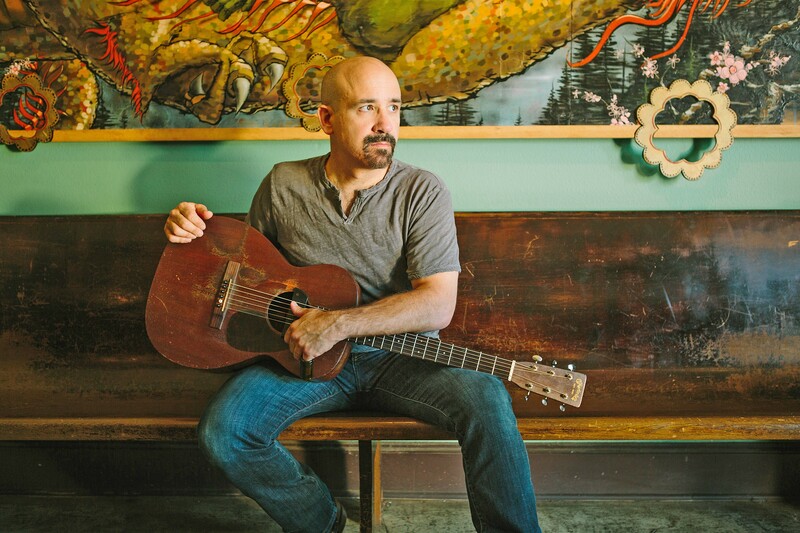 Furtado mixes blues, bluegrass, folk, and acoustic rock into his signature sound, and this time he'll be joined by John Reischman (mandolin) and Luke Price (fiddle). Said David Lindley, "Tony Furtado is a major musical force without a doubt. He has his black-belt in voice and bottleneck guitar, and his banjo playing scares the crap out of me." The Cal Poly Arab Music Ensemble and special guest artists will perform Arab and Iranian music and dance Saturday, Nov. 4 (8 p.m.; all ages; $12 to $14 general or $9 to $12 students at 756-4849), in Harman Hall in the Performing Arts Center. 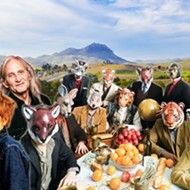 Guest artists include Neema Hekmat as director and on santur (hammered zither), Nasser Sabouri on vocals, Azadeh Nemat-Gorgani on piano, Nariman Assadi on tombak (goblet drum) and daff (frame drum), and Hannah Romanowsky as choreographer and on dance. 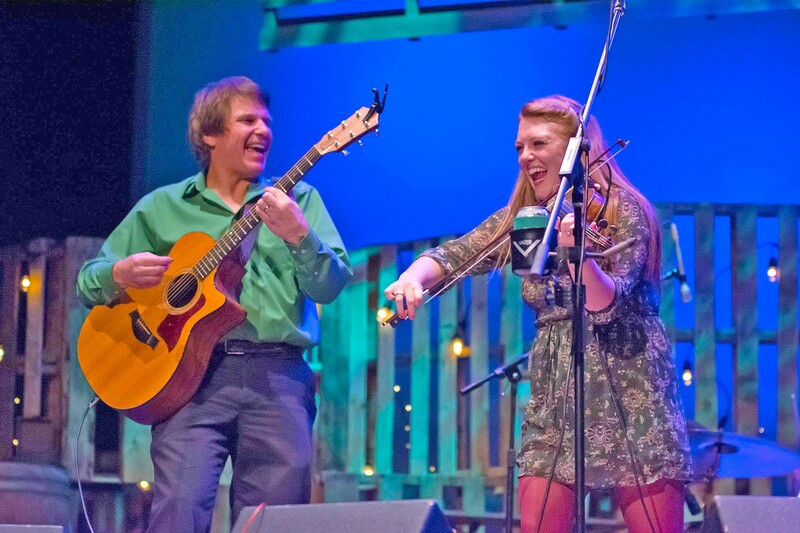 FIDDLE ME THIS Portland-based AmeriCeltic band Castletown plays the Frog and Peach on Nov. 7.